With the hot weather still sticking around, the month has been full of restaurant openings, dinners with friends and lunches with my boys. This sunset was taken from the roof terrace of Kuti's Brasserie when I attended their re-opening! We've had a month full of birthdays including my dads, friends and a few 1st birthday parties too! Joshua loved his first cupcake although he ended up covered in edible glitter. Arran and I headed off on a date night in Winchester for cocktails and food. It was so lovely just being the two of us but we couldn't wait to get home to our squidge. I headed off on my first ever press trip! I went to Leeds with Mayflower Theatre to watch the dress rehearsal of Calendar Girls The Musical and I loved it. Leeds is such a vibrant city and I wish we had more time to try all the great food available. Joshua is ten months old! He's crawling, full of teeth and so very close to walking. We hosted our first Southampton Bloggers Summer Picnic, the weather was touch and go but it stayed dry and we had such a fab afternoon. We took Joshua to the farm for the first time and he slept through most of it! It turned out to be such a hot day so we were so thankful for shade filled flower gardens. Joshua needs a mini. That is all... haha. I finally tried Doughnut Time! My sister went to London and came back with the oh so sweet treats! I had No Share and it was bloody delicious. 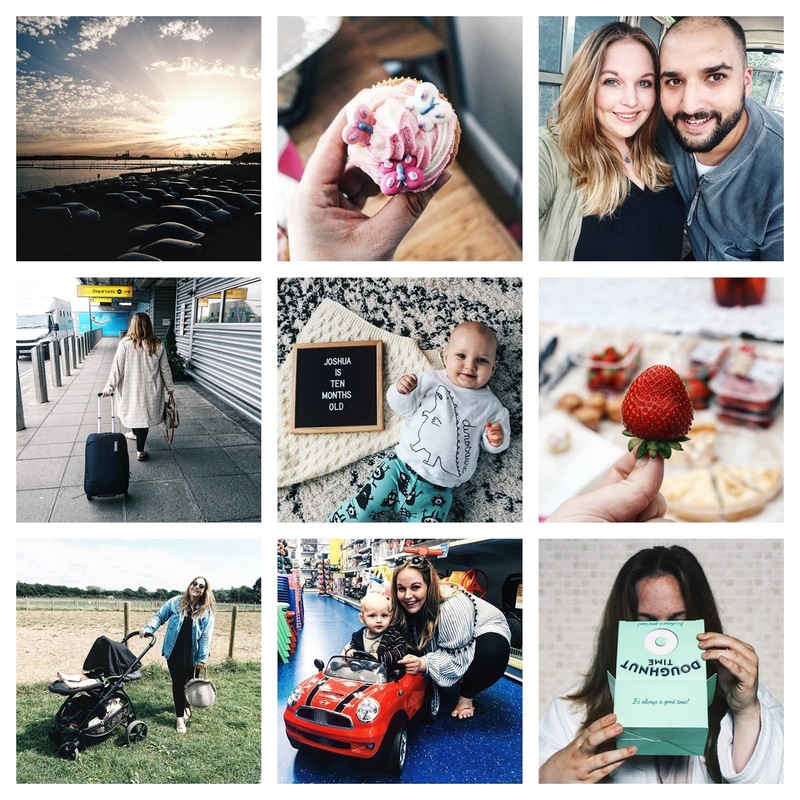 What a lovely post, you've had a great fun month and shared some beautiful photos. Joshua has grown so much but still a little cutie. Hope September brings you lots of joy too. I WANT DOUGHNUTS. And you are so right - Joshua does need a mini!